Speck Alto Adige IGP is a lightly smoked ham cured in the pure open air, a treatment that gives it an unmistakable appearance and taste. 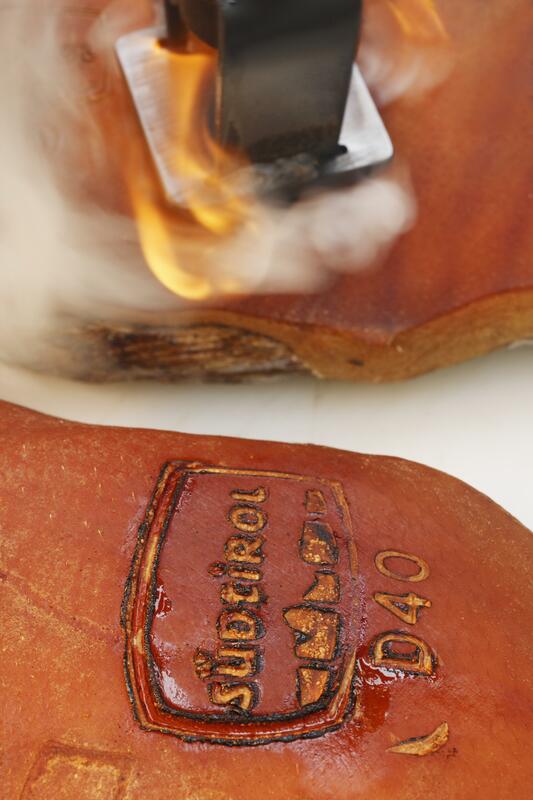 It originates from the merging of two different meat conservation methods: curing, typical of the raw ham of the Mediterranean area, and smoking, typical of Northern Europe. And it owes its special character to its strong ties with its land of origin, South Tyrol: the especially favourable climate of the Alpine valleys plays a key role in the production of speck. Speck goes far back in time. The very first documents, mentioning the existence of speck as a product derived from the need to preserve throughout the year the meat of the pigs butchered at Yuletide, date back to 1200. 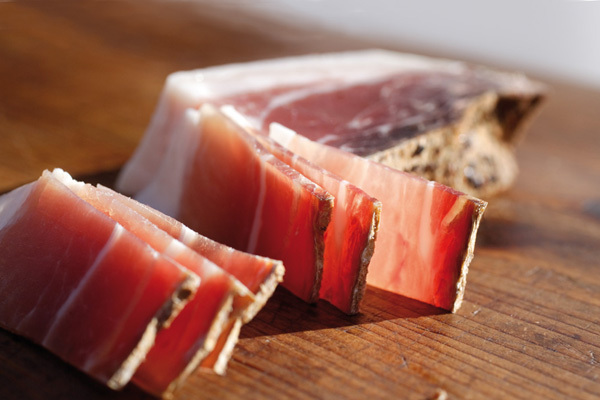 In South Tyrolean history, speck was a farmer’s fare and a source of energy during their long hours of work in the fields. Over time it became one of the main courses for feasts and banquets and today it is still themain ingredient of the South Tyrolean snack served together with bread and wine. 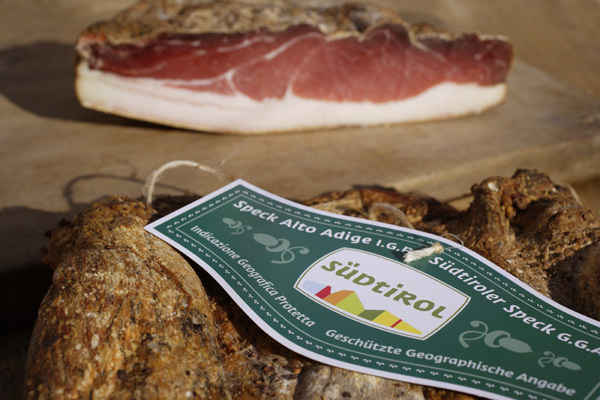 Of the speck produced in South Tyrol, only the products that have passed the severe inspections carried out by the Consortium Speck Alto Adige and by the specialized independent quality control institute INEQ - Istituto Nord Est Qualità, approved by the Italian Ministry, can bear the name "Speck Alto Adige IGP". The inspections are conducted to verify the quality of the meat, the salting of the hams, their light smoking over lightly resinous wood, the curing for at least 22 weeks, the fat to lean ratios, the salt content, their aroma and their balanced and unique taste. 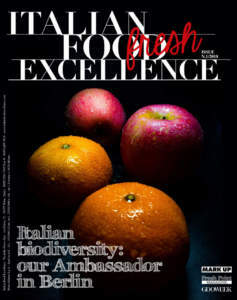 Only once it has passed all of these tests can the speck be fire-branded and packaged with the quality seal “Speck Alto Adige PGI” featuring the typical green label. Speck Alto Adige IGP is on sale in various packaging sizes in supermarkets, food speciality shops or direct from a butcher. 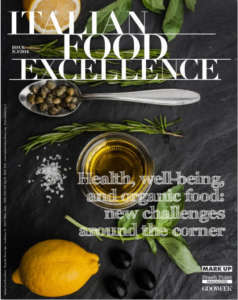 The various packaging formulas have been designed to meet the widest range of needs, from those of a small family to those of large-sized structures such as restaurants or retailers. Speck is thus available as whole hams, smaller ham pieces or pre-sliced, and can be purchased fresh and vacuum-packed. The main market for Speck Alto Adige IGP has always been northern Italy, although it is one of South Tyrol’s main export articles towards southern Germany and Austria. The markets of northern Germany, southern Italy, France, Benelux, Switzerland and central/eastern European countries are recently increasing their imports of speck, however. 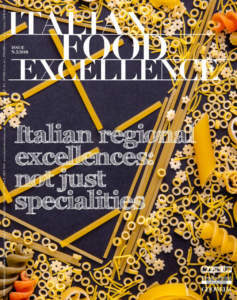 Outside European borders, the United States of America, Japan and other markets where the demand for traditional European quality products is strong are also important channels. • In a dark, cool place (around 5° C. or 41° F.) or in the refrigerator, vacuum-packed speck will keep for several months. • For the complete opening up of the aroma, it should always be removed from its packaging a few hours before eating. • Speck that has been removed from its packaging may be kept for several weeks in a cloth bag or between two bowls. The cooler and more humid, the softer it remains; while the warmer and drier, the harder the speck becomes. Mold which may form on the surface can simply be wiped away, or else the first slice may be discarded. This does not affect the quality of the product. • Speck should always be sliced against the grain in order to emphasize the tenderness in the mouth. When slicing, one should begin at the edge of the ham, since that is the area that dries out more quickly. • There are the most varied of ways of slicing speck: with or without the crust, by hand or by machine, elegantly and in paper-thin slices, in strips, or diced – each one of these methods leads to a different taste experience.